Does your faith in humanity need a booster shot? These stories of people being helpful, compassionate, and just generally fantastic human beings will help. We hope this makes your day better, and that you’ll be inspired to go out and be awesome, too! This woman could have responded with fear. Instead, she reached out with love. 2. 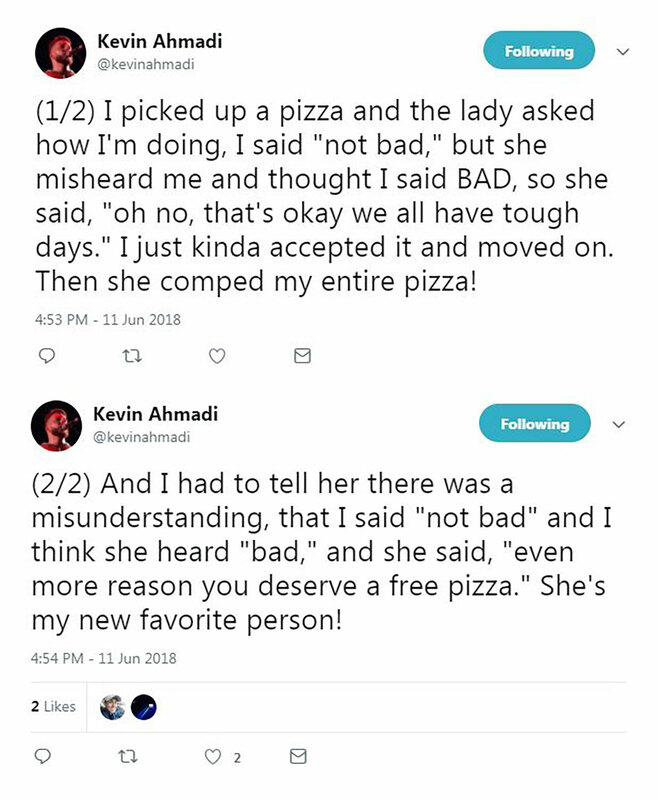 The best pizza delivery lady ever. 3. 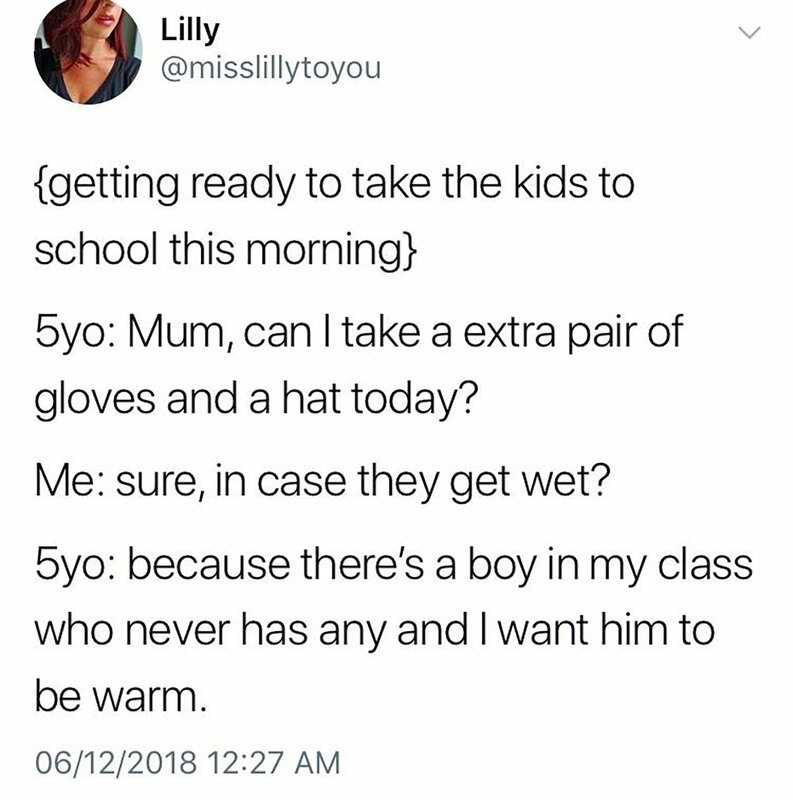 This kindhearted 5 year old who wants his classmate to be warm. 4. 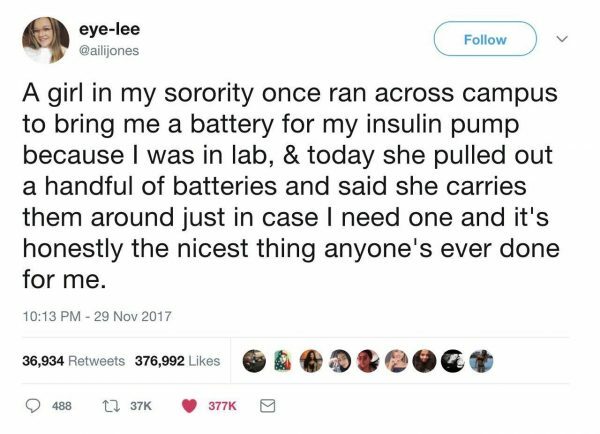 This sorority sister who looks out for her diabetic friend. 5. 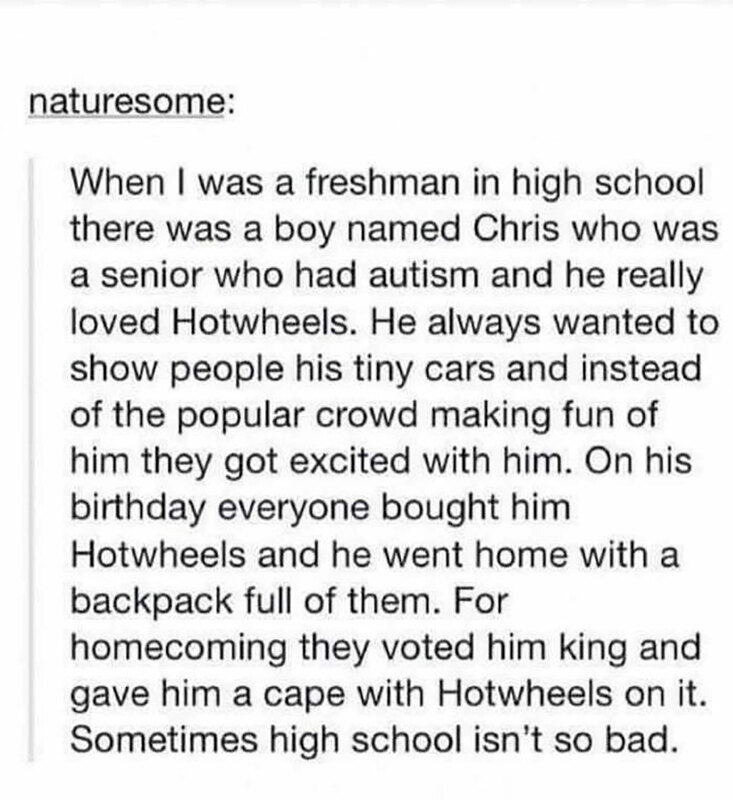 Hotwheels are super cool! Just like these high schoolers. 6. You don’t let go first. 7. 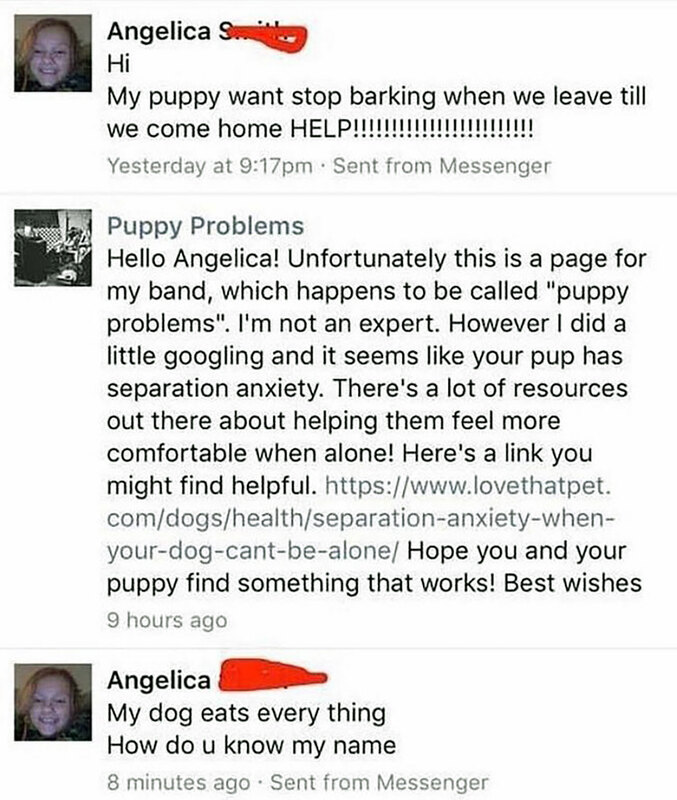 When this band received a mistaken inquiry about puppy training, they went the extra mile. 9. 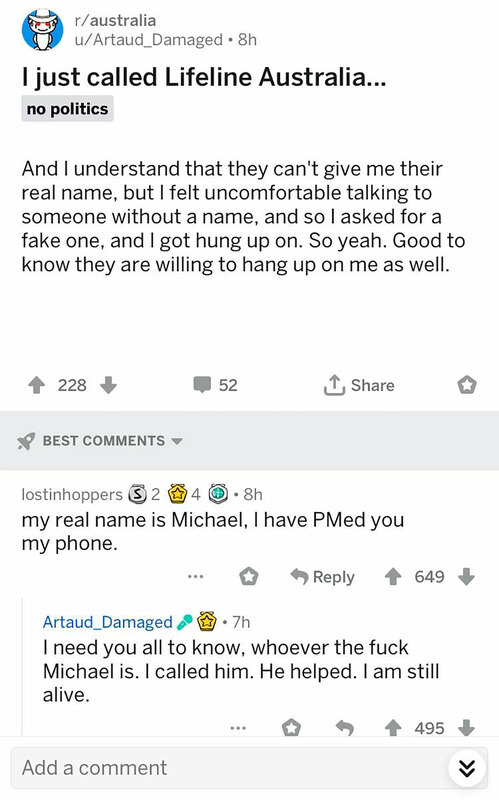 Michael, we salute you. 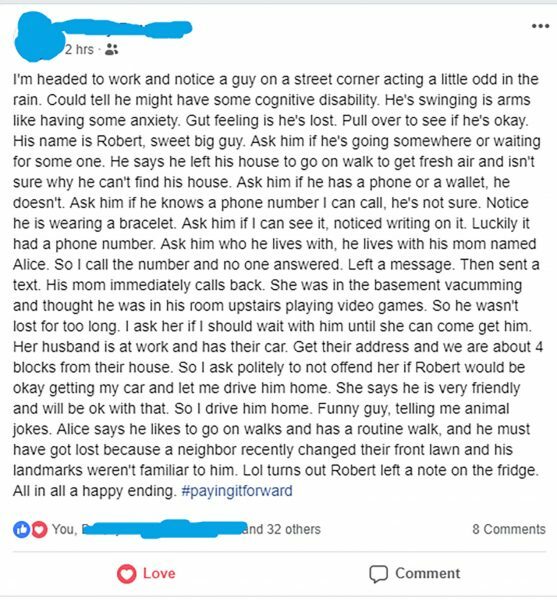 Way to help a fellow human who was in a bad way. 10. Love this teen’s concern for his possibly dehydrated bro. 11. 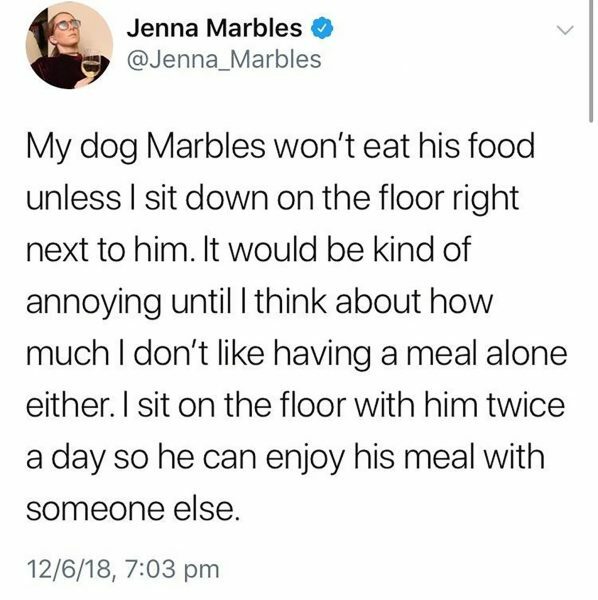 It’s nice to have someone to sit with during a meal. 12. 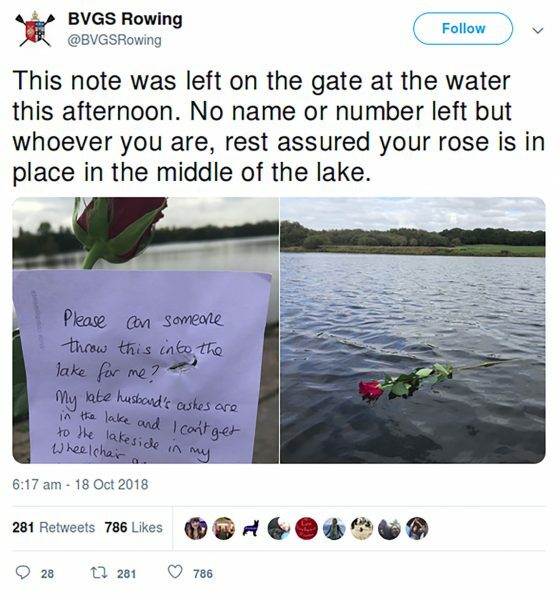 A rowing team found this note outside their clubhouse, so they took appropriate action. 13. 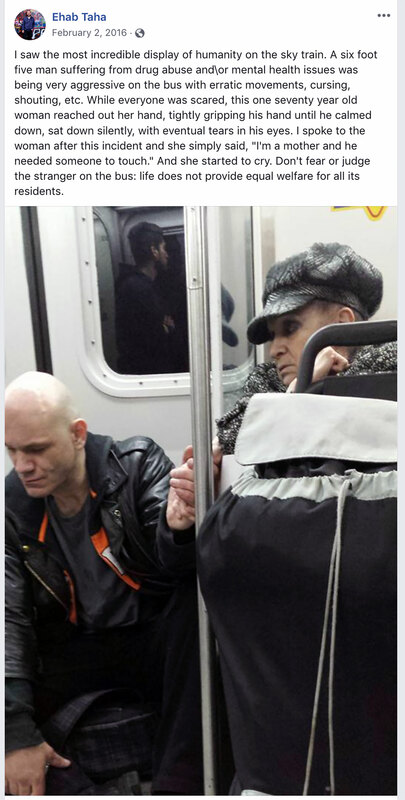 We can only imagine how worried his mom would have been if not for this kind stranger. 14. 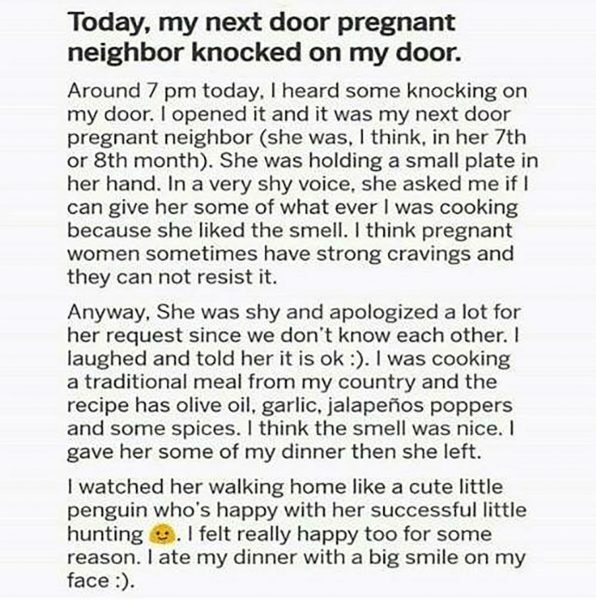 This person sharing a meal with a pregnant neighbor is adorable. 15. 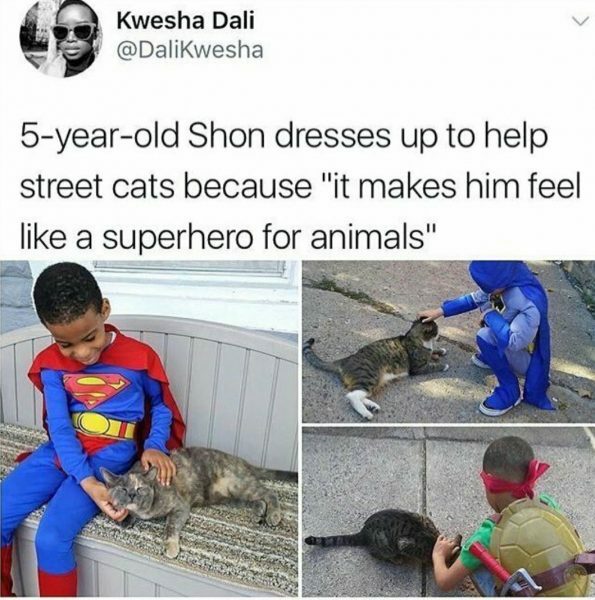 We think Shon is a superhero, too. 17. 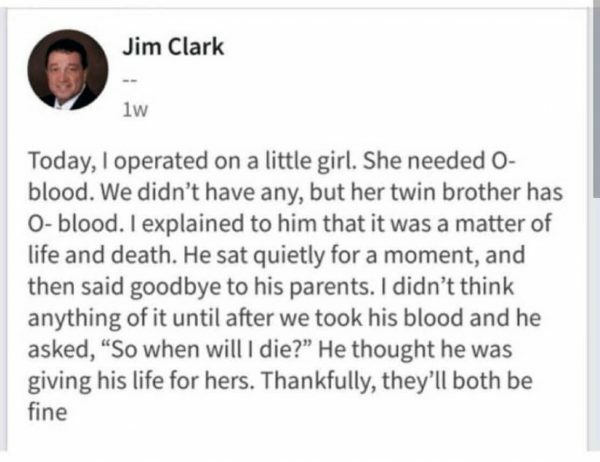 We’re not crying, YOU’RE CRYING. 18. 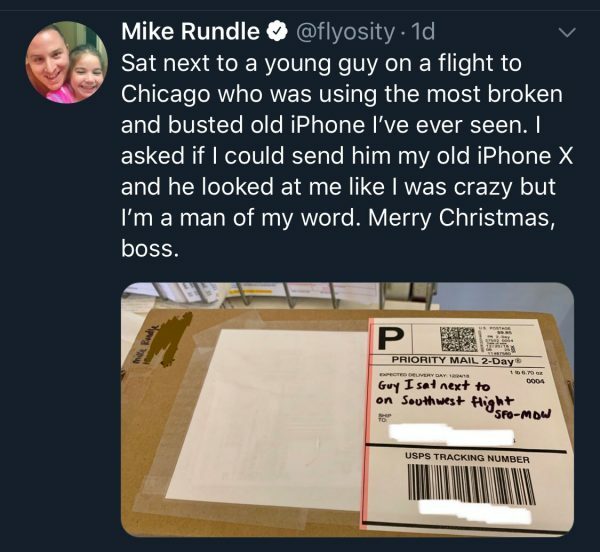 A chance meeting on a plane turns into an act of kindness. Hope he enjoyed the phone! 19. 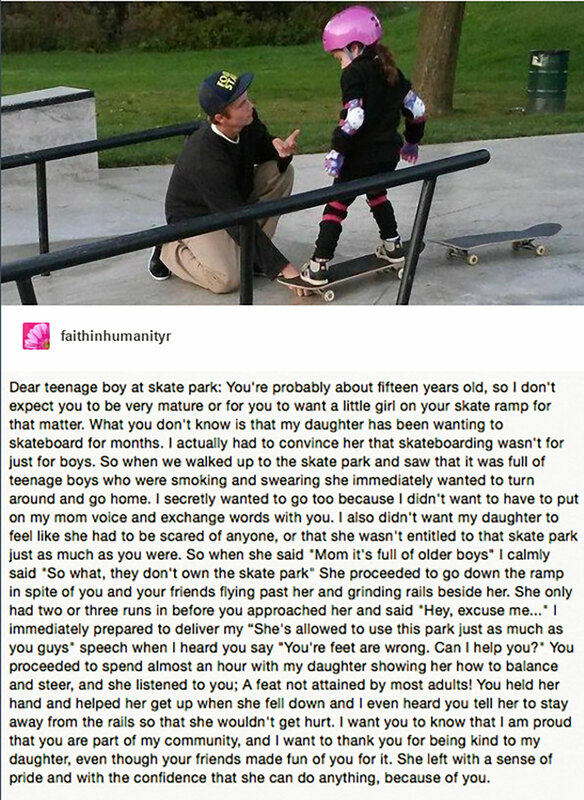 A teen skater takes the time to help a little girl, and she leaves with new confidence. 20. It’s hard and lonely to be studying overseas, especially on your birthday. 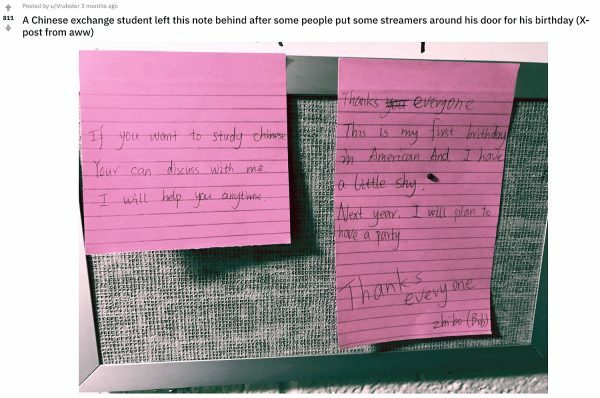 These people made this student from China feel welcomed.